A beautiful adaptation of the classic children's book by Julia Donaldson. 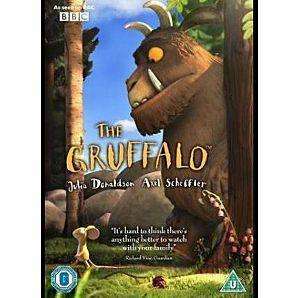 Oh help oh no it's a gruffalo!!!!!!!!!!!!!!!!!!!!!!!!!!!!!!!!!!!!!!!!!!!!!!!!! We have this, tempted to get another at this price as my children watch it so much it's bound to wear out!